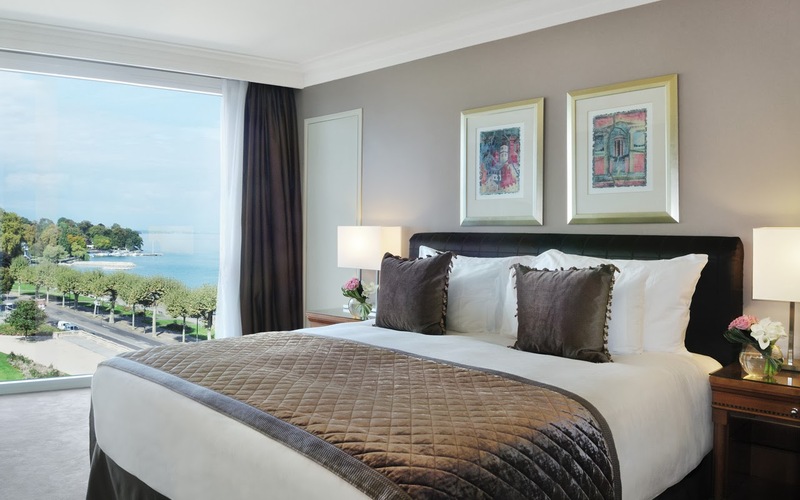 Steps away from the beautiful Lake Geneva, sits Hotel President Wilson, a contemporary hotel, boasting 180 rooms and 48 suites. Rooms in Hotel President Wilson offer views of Lake Geneva, the city, and also views of the pool and surrounding neighborhoods. Hotel President Wilson has one penthouse, which sits atop the hotel, and expands the entire length. 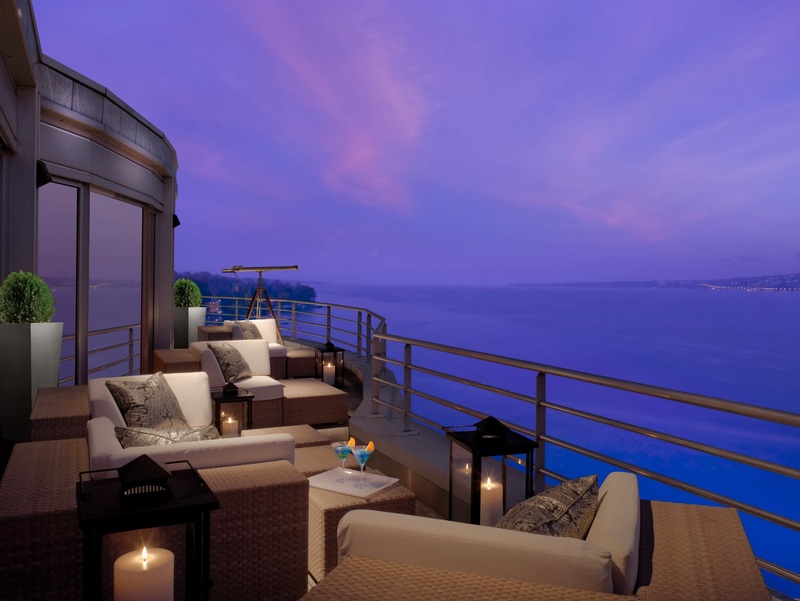 Views from the penthouse deck are breathtakingly beautiful and bring a relaxing tranquility to your stay. Hotel President Wilson offers the choice of dining at 4 different restaurants, a wine cellar, and 3 bars, one of which serves breakfast each morning. For those that wish to decompress and relax, the hotel’s spa offers various treatments from massages, facials, manicures, and more. With each passing year, advances in technology create an added convenience in most aspects of our lives. 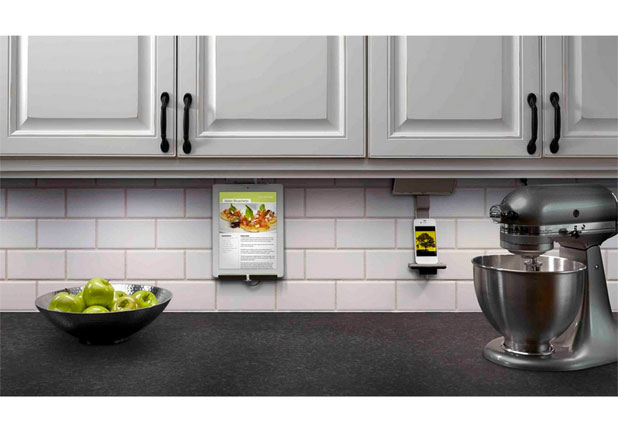 Growing in popularity are smarter homes, which are incorporating the U-socket wall plug. The smaller systems, which have built-in USB ports, allow for easier upgrades and replacements. The sockets remove the clutter of AC adaptors that jut out from walls and take up space, allowing for a cleaner and crisper look. Even better, the sockets have a smart sensor that allows the device to stop charging when the device is fully charged, which saves the life of your phone, as well as cutting down on energy used in your home. Does the U-socket wall plug intrigue and motivate you to replace your outdated sockets and bring your home up-to-date with technology advancements? Sitting on 12,705 square feet is Matt Damon’s “Maravilla” Miami waterfront home, which is being sold for $18.9 million. The secluded, Mediterranean style home boasts 7 bedrooms, 10 bathrooms, a serenity pool, and a guest house, which has its own bath, 2 bedrooms, and water views. 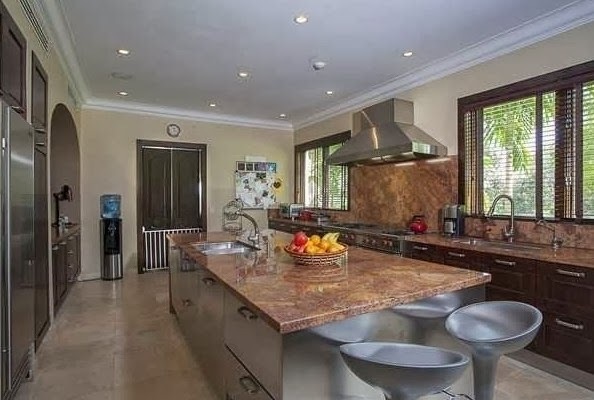 Along with a serenity pool, the property, which was created by combining two parcels of land, also has an oversized pool, which includes an outdoor kitchen that is flanked by arched doorways. As if Damon’s outdoor kitchen, which is decorated with exposed wood beams and a cheery blue tile, wasn’t enough, the main kitchen is adorned with granite countertops, deep drawers, and stainless steel appliances, making this a chef’s dream kitchen. The master bath is even more spectacular, with its freestanding tub, his and hers sinks, and a unique, porthole window, that adds character to the room. 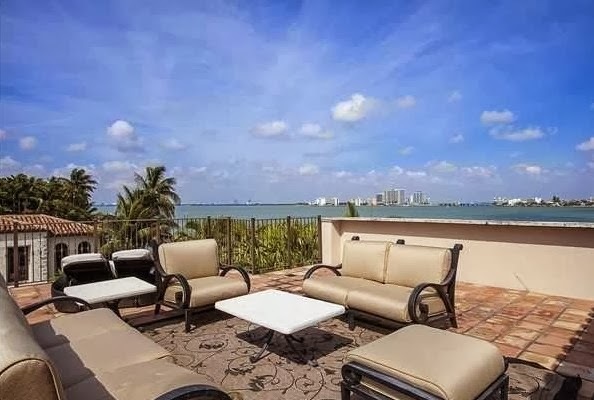 With a private dock on Miami’s Biscayne Bay, and 170 feet of water frontage, Damon’s home enjoys unobstructed views of downtown Miami from its rooftop deck. Would you pay $18.9 million to live on a waterfront property like Damon’s? When you look at the walls in your home, are there any walls that need revamping or any rooms that just need a little extra pizazz? Recycled leathers are one of the hottest trends, as they can be dyed any color, imprinted with unique designs, and treated to be stain resistant. Leather walls are ideal on feature walls, surrounding a fireplace, or in a media room, if you are looking to block out sound. Leather tiles have a long life, and can add either a warm and cozy feeling to your space, or it can give your interior a sleek quality. 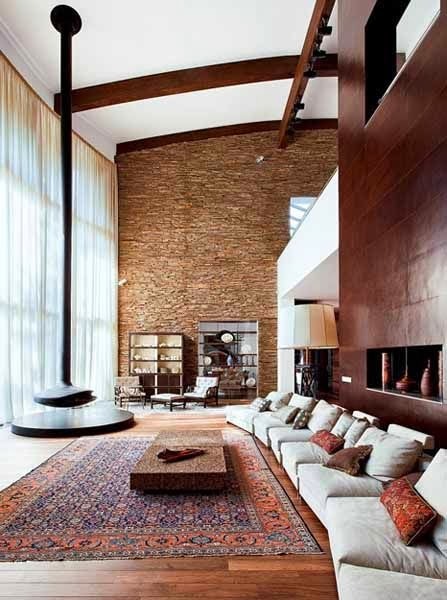 Would you consider adding leather to the walls in your home? Blue gives off a calm and spiritual feel, while green gives a natural and fresh atmosphere. When blue and green combine to create a teal color, a rich, vibrant and classy color is created. 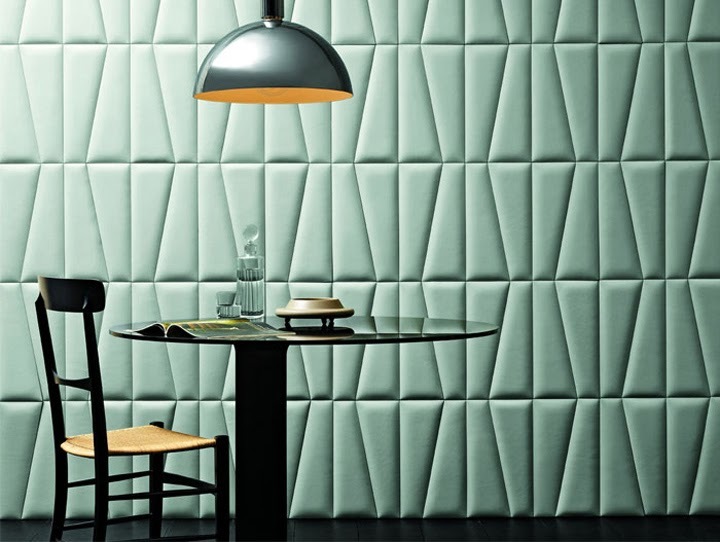 Teal is jewel-toned and reminiscent of the sea, which allows this calming color to aid in alleviating stress. Teal is such a great choice for your living room, kitchen or bedroom, as it pairs beautifully with wood tones, metal accents and natural colors. 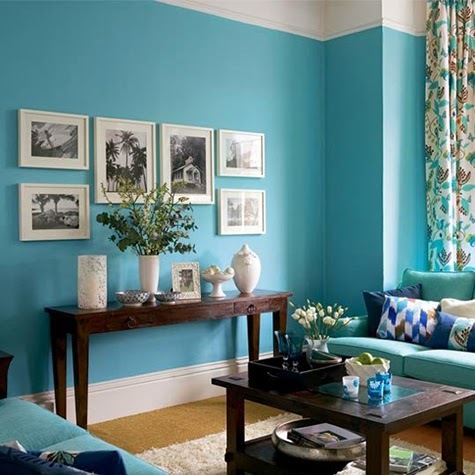 Teal is great as an accent in your room, which can be established with furnishings, throw pillows, or blankets, or it can be used on your walls. 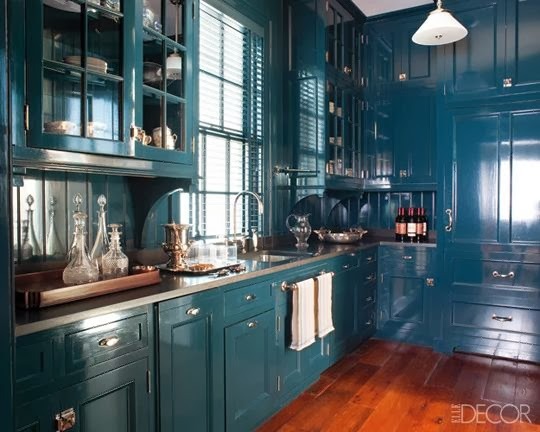 By painting all of the walls, trim, and even cabinets or tables teal, you can achieve the luxurious feeling of a jewel box, and add more character to your space. If you brought teal into your room, would you take the leap and go for the jeweled effect or keep it subtle?